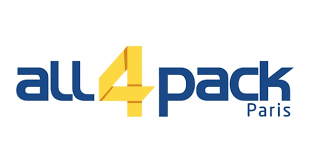 All4Pack is an all about Emballage biennial trade show where packaging solutions will be raised up. This year, two important Events which are Emballage and Manutention have been combined to make an one and only Exhibition in Paris. It will be 4 days of immersion in the heart of innovation and services around packaging. If you’ve planned to visit or exhibit on this show, may us advise you MagicStay’s available accommodations situated in the nearest of Paris Nord Villepinte. All4Pack is an exhibition focusing on packaging, packing, processes, printing and intra-logistics. The best way to make efficient exchanges with other professionals on this sector. During the show, you can visit thousands of exhibitors in order to meet new people and why not signing with new collaborators. You could also develop your contacts, assist to several demonstrations, conferences and pentawards which goal is to reward the best innovation of the event. 100,000 professional visitors and more than 1,500 exhibitors including suppliers, manufacturers etc. are expected.